This is a slight over-statement, but Microsoft and ‘cool’ are about as together as Bill gates and contact lenses. Microsoft is traditionally a software company that licenses its software to anyone who makes hardware. That strategy has worked really, really well so far. They have never really designed a PC. Odd as that may sound, it is true. Windows is designed to run on any PC, but Microsoft has never built that ‘any PC’. They had their first wide-scale foray into hardware+software with the eminently forgettable Windows phone that used the software they earlier developed for HTC and Asus phones. They quickly gave up that attempt. The first real grand scale hardware+software success of Microsoft was, ironically, something that actually slowed the sales of PCs – the Microsoft XBox. Microsoft realized that many of the computers in the world running on Windows were being primarily used to play games. Microsoft created a gaming division so that games for Windows could be made by Microsoft. There matters stood for a while. But in a rare bit of foresight, Microsoft realized that gamers would eventually shift their attention to consoles, not PCs. So they started their own console division – the Xbox. The first Xbox was a so-so. It had few games and some glitches. But with the Xbox 360 Microsoft finally hit the nail on the head – sort off. Microsoft spent billions and billions on it and only now are they seeing some profits – a good decade later. Apple, meanwhile, beat everyone by completely changing the game with their iPhone and iPad. A new era of computing had begun. Google jumped on that wagon with their Android operating system and now iOs and Android have a vise-like grip on the mobile industry. Microsoft tried to get in on that, a little anyway, with the Nokia deal for the Lumia phones. Those sold well, but not well enough. In a year that saw the sale of several hundred million smartphones, the Lumias sold a few million. But a handy side-effect of the phone development seems to be that Microsoft finally had a product intended for a touch screen. Now if they could only find a place to put it. As it turns out, they either could not find a place to put it, or have decided to radically change their business strategy. So they have made the place themselves. Thus we have the first PC developed by Microsoft in a long, long, long time. The Microsoft Surface, a tablet PC. Strangely, Surface is a reused name. The original Surface was seen in a concept ad that Microsoft had launched a few years ago which showed a ‘smart table’ or something. It certainly was ‘touch’ but it was way, way beyond anything anyone could and still can do. They have been reportedly shipping some version of it to retailers (a giant touch table?) but I have never actually seen one here in India. But the new Surface is something different altogether. This computer, completely built by Microsoft, is designed to run on the not-yet-released Windows 8. This is an operating system that Microsoft has repeatedly claimed to be designed specifically with touch-input and tablets in mind. The tablet that Microsoft displayed in their June 18 release was running the Windows RT operating system. 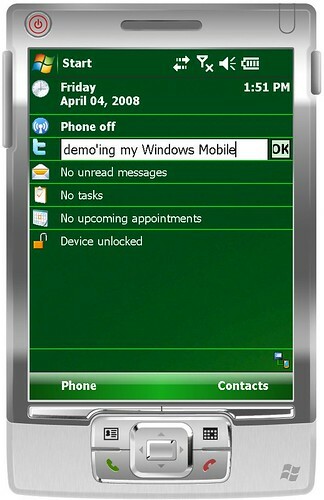 They say that a pro version will run the Windows 8. A great new direction that Microsoft has gone with – no doubt benefiting from years of feedback on the iPad – is the kickstand. This is a little un-foldable flap that allows you to set the tablet up like a screen. That is just the start however. What is a kickstand without having something to do with the tablet, now that it is all upright and all? This is another flap that magnetically attaches to the bottom of the tablet, a ‘la the smart cover of the iPad 2. However, this flap has a touch-sensitive keyboard embedded inside it so that we can have the pleasure of a full keyboard on our Windows tablet. Microsoft says that the keyboard is gesture-oriented. The keyboard won’t work if you just rest your hands on it. But once you start typing it will fire away. There is another version with click-able keys as well. The tablet will also feature a stylus, embedded in the side, which will allow us to write and draw on the tablet. This Windows tablet will (presumably) be free of the weird eccentricities that Apple has – a Flash Player, third-party programs, not quite such a death grip on what we can install etc. The practical keyboard is trying to address a long held complaint – the tablet is a fun toy but is not practical for daily or even regular use as a computer. This is probably Windows’ attempt to get users to finally do something on their tablets other than watch videos. And frankly that is a good move. Tablet sales have been low. There are a billion computers in the world, if not more. There are only a few million tablets and barely any in India. This is purely because the Tablet is seen as a first-world indulgence and not a really computer. Microsoft is trying to change that. The software – big chunky blocks with swipe navigation will also sooth the complaint that it is not really comfortable to operate a touch screen, thanks to small icons that require sniper aim to hit properly. Windows has tried to solve that issue but I am still not a fan of the block system which makes everything seem chunky and less elegant. – Microsoft has not revealed the price. – Microsoft is releasing two versions of it – one with Windows 8 (a pro version) and one without, which seems pointless. 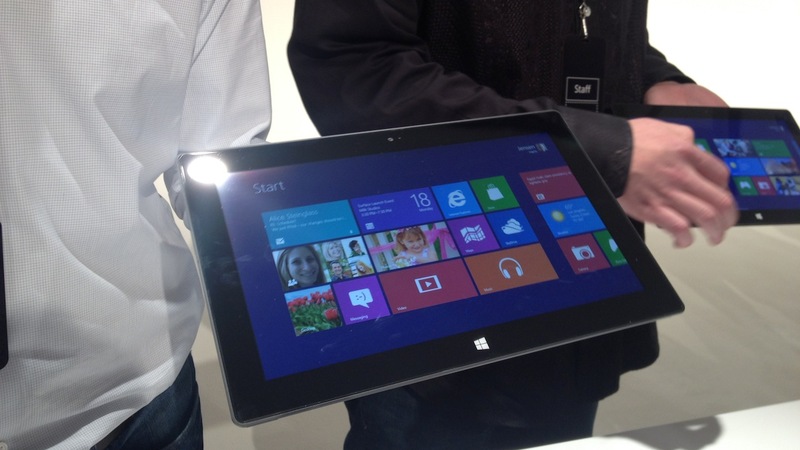 – Microsoft will be selling these tablets…exclusively. You can buy them online or in Microsoft shops. And I have not seen any of those shops here. Even elsewhere, how many of those even exist? – Microsoft is very tight-lipped about what it’s partners (the ones who traditionally have licensed Windows and stuff and sold it separately within their own systems in their own shops) have to say about this whole “we will sell it ourselves” business. We can presume they are not too pleased. – Microsoft has not yet released the complete specs of the tablet, making me wonder what they are so shy about. All we know is that there might be a 32 and 64 GB version and it runs on the NVidia Tegra chipset. All in all, the tablet looks extremely promising. But unless a host of things are clarified and various things are released on time and with an ease of availability, the tablet might sour very quickly. Let us hope it does not. The iPad could use some decent completion. Apple is growing complacent and extremely arrogant.